A sign in Orlando, Florida directs voters to polling locations on election day 2008. To hear the first part of their discussion about Oklahoma’s 2018 primary election, click here. Hear what political scientist Keith Gaddie has to say about voter registration, State Question 788, the governor's race and more. 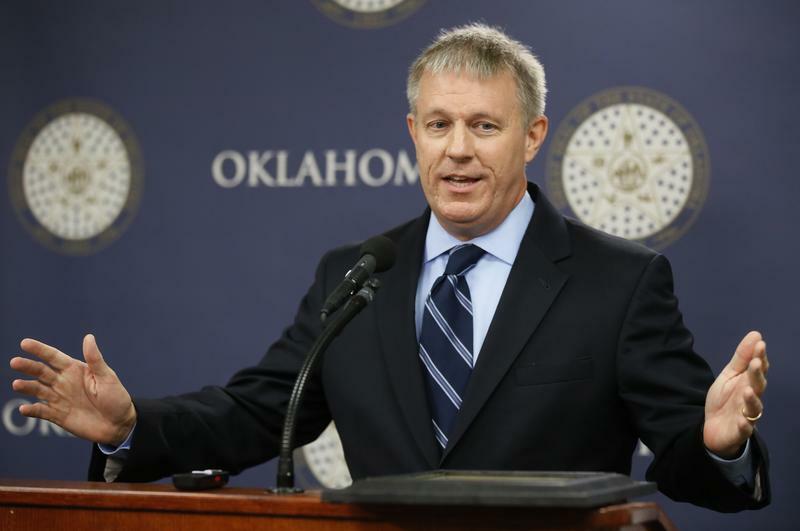 Pryor: Last time we spoke with the University of Oklahoma political science professor Keith Gaddie about Oklahoma's competitive political landscape. Today Keith joins us again to continue the conversation. Keith let's start with the high number of Oklahomans who've registered to vote in the June 26th primary election. Registrations are up about double the number from the same time four years ago. What does that tell us? Gaddie: When voters get mobilized, when voters register, there's a reason why. Affirmatively acting to register means you intend to go vote, and there's going be a lot of interest in voting in this midterm, not only in Oklahoma but nationwide. People will still be disappointed with the turnout levels. We're always disappointed with midterm turnout, and the big trick is going to be mobilizing those votes. The thing that we don't know is are they mobilizing because they're upset with the status quo and coming from the left? Or are they upset with the status quo and they want to drive further right? That's something we don't know yet. Pryor: Keith, state questions can be a wild card. 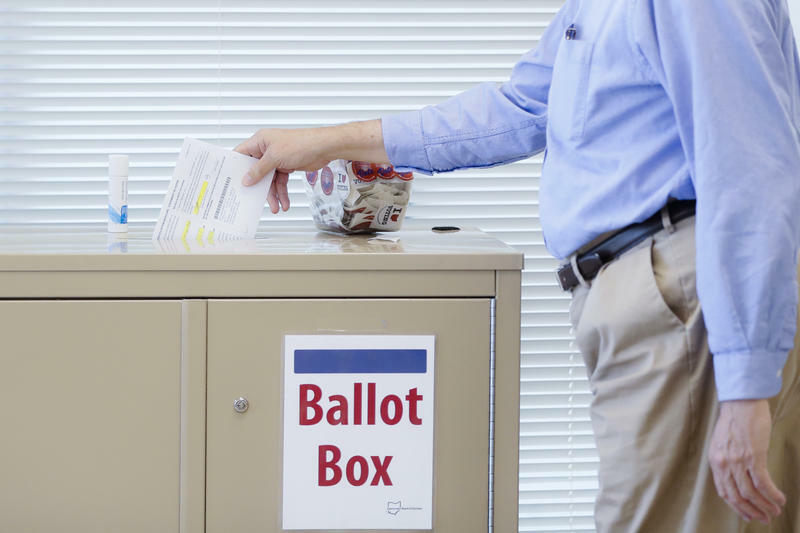 How will having a high profile state question on the ballot, State Question 788 about medical marijuana, affect the turnout in a primary election and potentially the outcome in some races? Gaddie: OK, um... Usually when you have high profile state questions that have got significant wedge issues there on the ballot for the general election to help shape the electorate. This has been a particular conservative hallmark for a couple of decades, especially in Oklahoma. This one's a bit different because, you know, if we look at this medicinal marijuana question in particular, one thing we've noticed for 10 years most Oklahomans have wanted this on the ballot. Bill Shappard I polled on this ten years ago at Sooner poll and found a majority of Oklahomans wanted to have the chance to vote on this issue. And the numbers only gone up. Does it pass? We don't know. But clearly it's going to drive a lot of interest. Will it drive additional people to the polls? Probably not, because individuals that are most motivated by this issue are already pretty politically active. So they were going to be there anyway. Pryor: How would you handicap the governor's race? Well that's a Wild West out there, isn't it? I mean Drew Edmondson will win on the Democratic side. We know that. But on the Republican side, you know, there was a poll that came out from RSG, which is a national Republican consulting firm, and they were showing basically a three way fight between Mick Cornett, Todd Lamb and Kevin Stitt, and margin of error between those three candidates, with Gary Jones in high single digits and other folks kind of floating around. Ashley: And this is another one of those races where-- the Republican gubernatorial primary-- where we have a lot of candidates: ten. That's a lot of places for voters to go, to both show support and perhaps even opposition to some of the other candidates on the ballot. Will that play a role in what happens? Gaddie: When you think about it, though, none of these... None of these candidates running really have a big negative that's come out that motivates most people. You know they're still all running with either unknowns or positives. It's a question of what flavor of Republican you want, and we have every flavor of Republican running right now, which is one reason why the vote's so fragmented. We have every region of the state running right now, which means we'll get some friends and neighbors voting. You know, there are a lot of places to park your vote right now. The thing is, though, coming out of that primary going to the runoff, unless somebody has a substantial amount of the vote, say over 35 percent and a big lead say more than eight points, it's a total crap shoot for the runoff also. It's a completely new election. Most of the time first primary leader wins the runoff, right? In this gubernatorial race, it could be anybody's action. Pryor: There is a lot of churn in the political landscape right now. How do you think it's shifting? Gaddie: I have no idea. We are in such an uncertain environment right now. 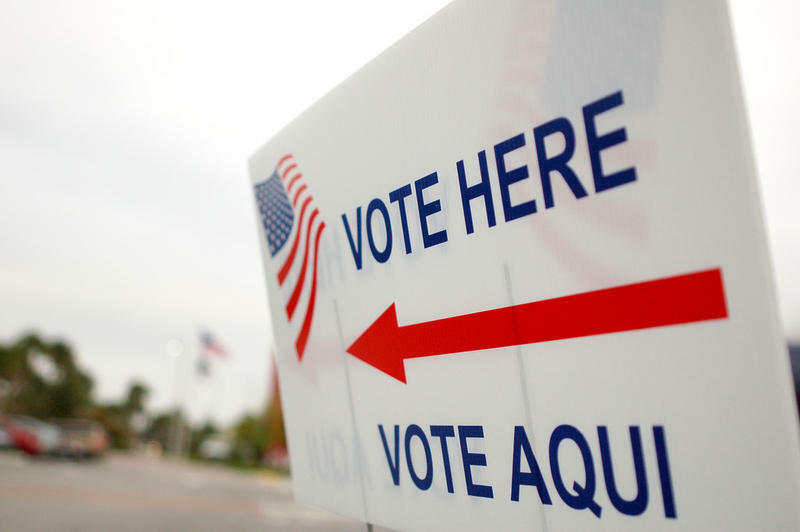 One thing that we are seeing nationwide is when given the opportunity to fill a Republican legislative seat voters are picking Democrats, often with substantial margin shifts. We saw this this past week in Wisconsin. We've seen it here in Oklahoma in the suburbs repeatedly for the last three years. There is some dissatisfaction afoot in the states regarding the failure of conservative government to deliver on their promise. You know the prosperity that was supposed to follow from the implementation of tax policy and governmental cuts hasn't been realized. And voters like to see things work. They like to see promises kept. Pryor: Keith Gaddie, again, thanks for joining us.